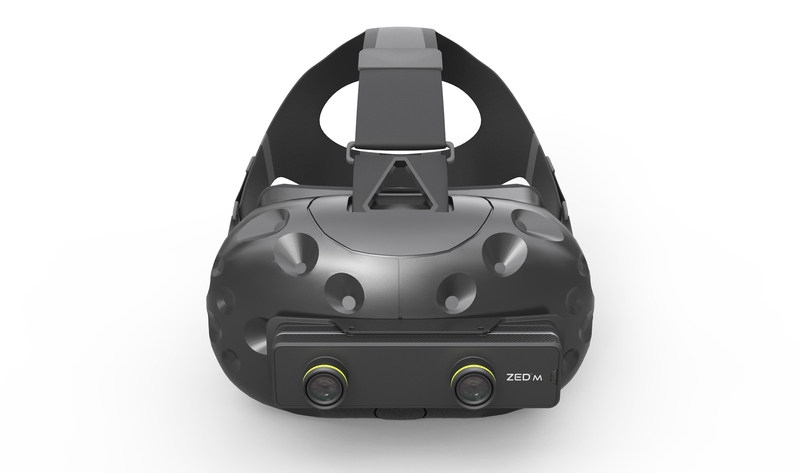 The depth-sensing ZED Mini is compatible with both the HTC Vive and the Oculus Rift. While Microsoft's HoloLens is the first augmented-reality headset you can actually try (if you're a developer, anyway), it's also pretty inaccessible thanks to its $3,000 price. Late last year, Stereolabs announced a potential solution in the form of the Linq, a mixed reality headset that will hopefully retail for less than $1,000. It offers a much wider field of view (110 degrees) and the ability to map a 3D space in real time, mostly thanks to the company's ZED 3D camera that's embedded in the headset itself. Today, however, the company is announcing an even cheaper device that'll transform any VR headset into an AR one: the ZED Mini. 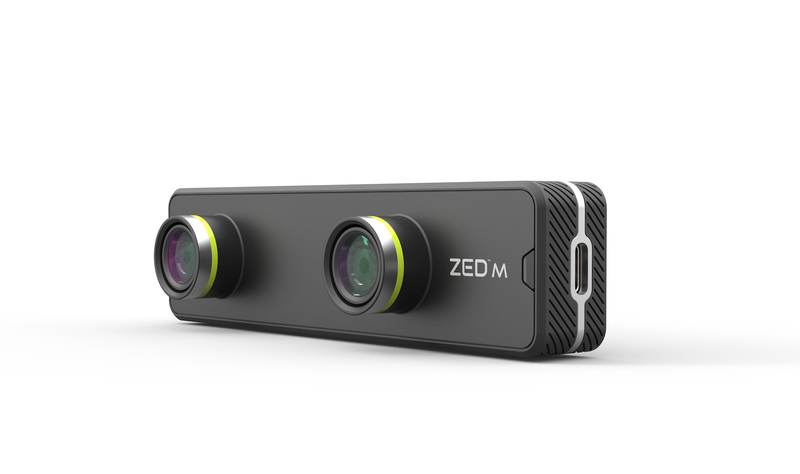 As the name suggests, the ZED Mini is essentially a tiny version of the ZED 3D camera. The idea with the ZED Mini is that it's small enough that you can just slap it on top of an existing VR headset -- say, the HTC Vive or the Oculus Rift -- and voilà, you'll get an augmented-reality headset without having to cough up thousands more dollars. The ZED Mini works in the same way as the ZED. It has two cameras that are designed to work like human eyesight. Both versions have two 720p RGB sensors with the aforementioned 110-degree field-of-view. The ZED Mini uses Stereolabs' unique depth-sensing tech, which doesn't require external cameras or sensors. "It takes the point of view of the left and right cameras and understands the distances of objects," says Cecile Schmollgruber, Stereolabs' co-founder and CEO. The ZED Mini connects via USB-C to the headset and attaches via a compatible mount. This means that unlike Microsoft's HoloLens, which displays images onto translucent screens, or the mysterious Magic Leap, which projects them directly onto your eyeballs, StereoLabs uses a basic 3D video pass-through. Instead of seeing the world naturally through clear glass, you're essentially seeing the world through the ZED's dual cameras. Think of it as seeing the world through a security camera rather than through a window. I had a chance to try out the ZED Mini prototype for a little bit, and I have to say I was a little disappointed. The blurry and pixelated quality of the 720p video really dampened my experience, and even though the framerate was at 60 fps, I felt a little nauseated when I tried to walk around. A StereoLabs spokesperson said that could be because I wasn't used to the spinning objects, but seeing as I've had plenty of experience with VR headsets, I don't think that's the case. I have a feeling it's simply because the video quality was a lot poorer than I anticipated, and that threw me off. Still, the field of view is certainly a lot larger than that on HoloLens. Instead of just a tiny square in your vision, the augmented view through the ZED Mini is massive (it's basically your entire "screen" instead of just a small window). In a demo of the solar system, it felt like the planets were floating all around me. The real-time 3D mapping is pretty impressive, too. One demo had drones shooting lasers at me, and I was able to block their shots just by holding up my hands. I could also use other objects in the room as shields, like a chair or somebody standing in front of me. I was especially impressed with a lightsaber demo, whereby the team at StereoLabs essentially transformed a generic toy lightsaber into a virtual weapon. They mapped the toy so that the camera would instantly recognize its color and shape. So when I brought the toy into view of the headset, the computer vision would kick in instantly and the lightsaber glowed as if it were real. And because the game was programmed to recognize the lightsaber, I could use it to deflect lasers and slice drones in half. Despite the poor video quality, it was pretty fun to play a pretend Jedi, at least for a little while. In conjunction with the release of the ZED Mini, StereoLabs is also updating the ZED SDK so that developers can start making games and apps for it using Unity and Unreal game engines (right now, the ZED Mini will come bundled with the demo apps mentioned here). Because it can be attached to both Oculus Rift and the HTC Vive, the ZED Mini is also compatible with the Vive and Touch controllers out of the box, so it shouldn't be too difficult to start making games for it. The apps will be compatible not just with the ZED Mini, but also with the upcoming Linq headset, which is basically the same tech but housed in an all-in-one unit. We should also note that while the Oculus Rift and the HTC Vive need to be tethered to a PC, the final consumer version of the Linq headset doesn't. Still, the Linq is set to be priced close to $1,000, with a yet-to-be-disclosed launch date. The ZED Mini, however, is expected to ship in September for $349. The ZED Mini might not have the immersion of a Magic Leap or the clarity of a HoloLens, but right now, it's by far the cheapest and most accessible way to get into augmented reality.